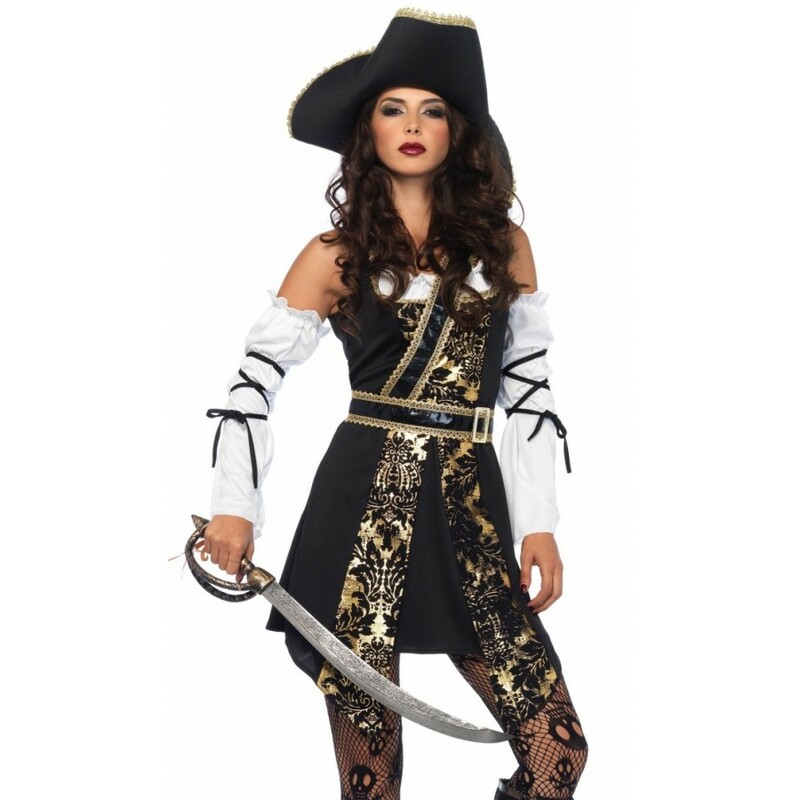 Black and Gold Pirate Costume for Women is an elegant choice for Halloween - also in plus sizes. This 4 piece pirate costume includes the gold brocade trimmed black dress with zipper back closure, the sleeves with wrap accent, crossbody belt and pirate hate, all edged with gold braid. 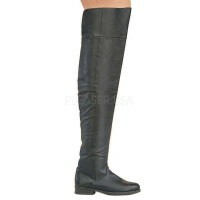 Item Number: LA-c85563-X | Approximate Size (Inches): 10.00 wide x 3.00 deep x 14.00 high | Approximate Shipping Weight: 2.00 lbs.